The Cobo Center commitment to environmental stewardship in our community is demonstrated by our continuous efforts to investigate, validate and implement new and innovative Green initiatives throughout the facility, and by our programs designed to educate our employees, vendors, customers, partners and visitors in the importance of the sustainability of our environment. Materials left by events are donated to local agencies for reuse and upcycling. The glass-enclosed Concourse area on the main level, the three-story glass atrium and the third floor corridor glass ceiling provide enough natural light during daytime hours to minimize main hallway daytime lighting throughout Cobo Center. Exhibit halls in Cobo Center are equipped with induction lighting that uses 40% less electricity. Cobo Center is air conditioned by pumping grey water from the Detroit River through chillers that then send the cool water to various air handlers, providing cooling to zoned areas in the Center. This system uses considerably less electricity than conventional air conditioning units. All main hall lighting and heat/cool settings are computer programmed and managed. 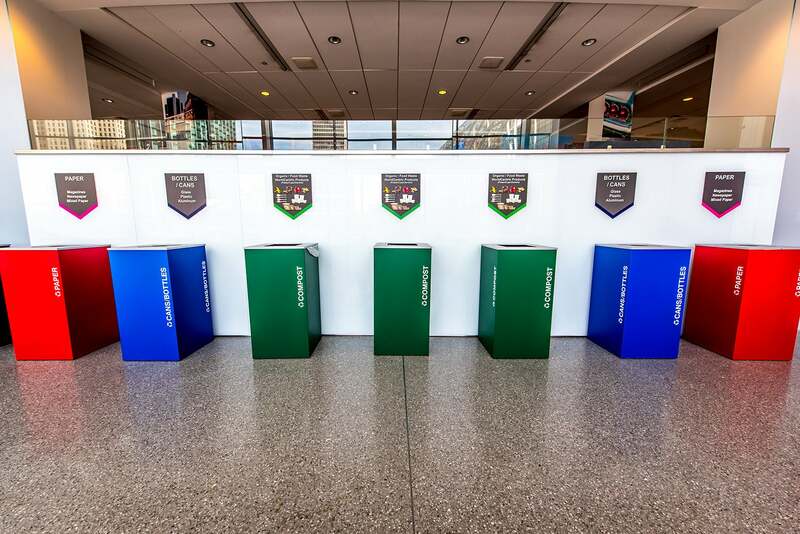 Paper, aluminum can and plastic bottle recycling containers are placed in all office areas and high traffic meeting areas throughout the Center for aggressive recycling. Escalators in the building are energy efficient, Kone EcoMod units. All escalators run based on occupancy and event needs. 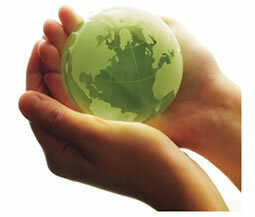 All in-house contractors participate in Center recycling and Green initiatives. 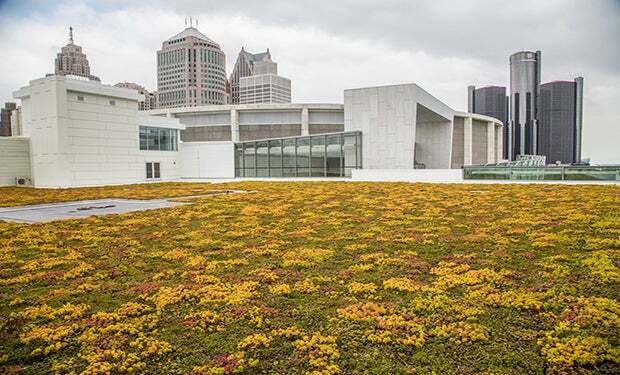 The recent Cobo Center $279 million facility upgrade incorporates numerous green building components including low-flow restroom and kitchen equipment, energy efficient HVAC equipment and a living green roof.. 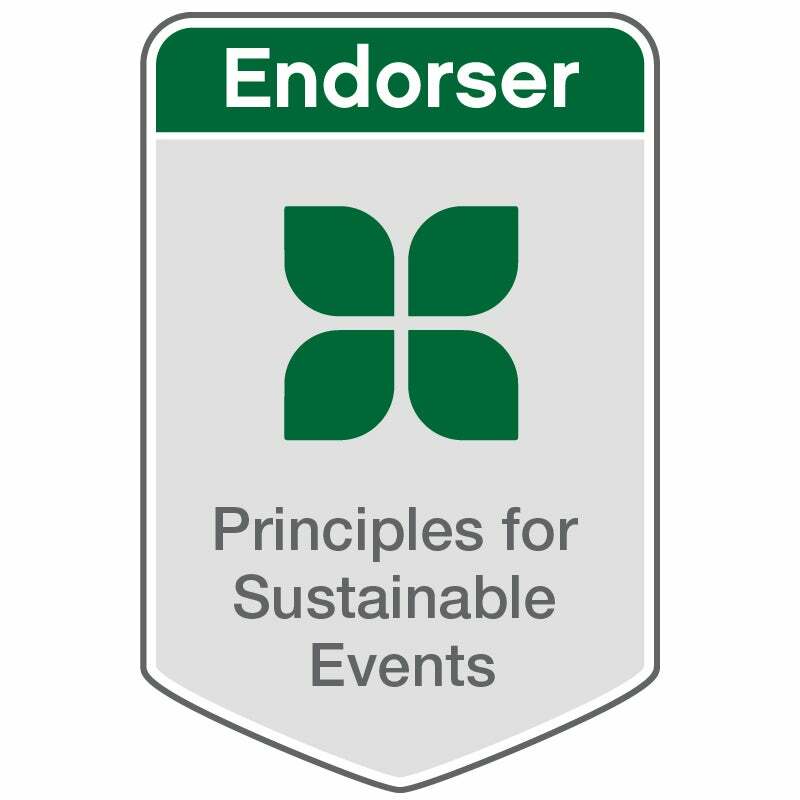 The Cobo Center housekeeping staff uses products that are environmentally safe and non-toxic. All pallets are recycled to a local area vendor. 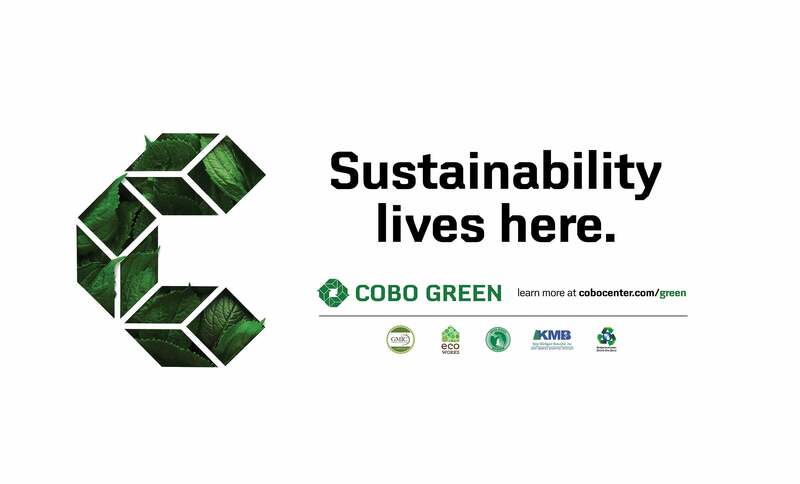 My Green Michigan provides complete composting services to Cobo Center. Centerplate, the Cobo Center exclusive food and beverage contractor collects prepared food that has not been served for pick up by Forgotten Harvest, a local company that delivers the food to pantries, soup kitchens and shelters throughout Southeastern Michigan. 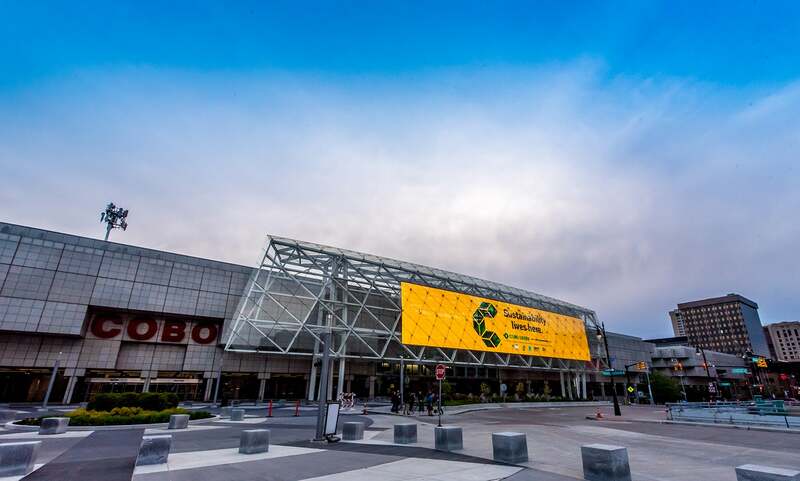 Cobo Center provides post-event waste diversion reports to show managers upon request. All event reports and waste diversion is provided to customers at no cost. Ask your event manager about it today!